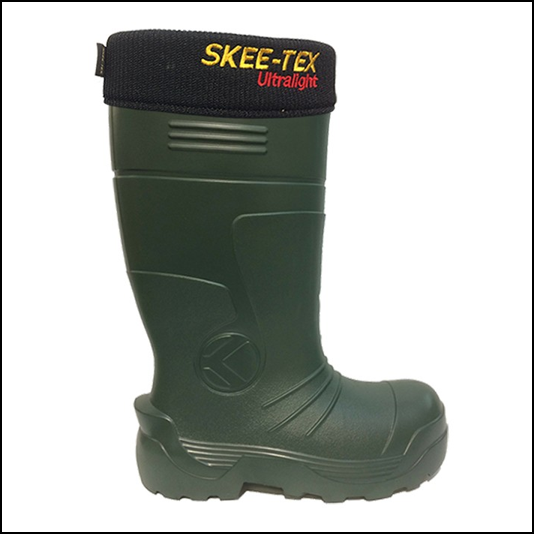 In collaboration with Skee-Tex and the launch of the all-new Skee-Tex Ultra Light Tuff Boot, our Webshop kicks off January season with an exclusive deal for online shoppers to include FREE Delivery & FREE Skee-tex Boot Bag worth £12.00. Whilst it may seem a strange association with a brand synonymous with Alpine surroundings and the fact that at Ernest Doe we like to keep our feet firmly on the ground, the knowledge and understanding of cold weather conditions at Skee-Tex is of paramount importance to us. We were already in awe of the Skee-Tex Ultra Light Weight Boot, which is completely out of the ordinary in feel and performance when compared to our more traditional Wellington Boots, so when the new Ultra Light Tuff Boot was launched, we just had to know more. Designed mainly for outdoor work and leisure such as fishing, angling and farming, these NEW Ultra Light Tuff Boots are decidedly’ tough’ from the surface down. Quite simply super lightweight, thanks to the Close Cell EVA composition, they have been designed to combat fatigue wherever your day unfolds, without compromising on flexibility or support. 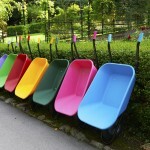 They are the perfect choice for crossing rough or slippy terrain whether at the lake or shoreline. If your preference is to wade in, the assurance of no welts, no leaks and impressive insulation in extremely low temperatures is yet another string to their bow. Perfect for down on the farm too, these boots also campaign a non-polluting, anti-bacterial coating to promote biosecurity in the countryside and boast a rot resistant outer, impervious to contact surfaces such as salt, oil, acid and alkali. Supplied with a removable thermal sock lining for ease of washing and a FREE Skee-tex Boot Bag with every purchase, at last a full proof solution to keep the mud at bay and not all over your car, kit or home. For additional warmth in bitter surroundings, pair with Skee-Tex North Pole Thermal Socks.